When I was in college, I spent a semester studying abroad in Florence. It was one of the most memorable experiences of my life. My favorite part was the food, of course (…okay, and maybe the underage drinking too). 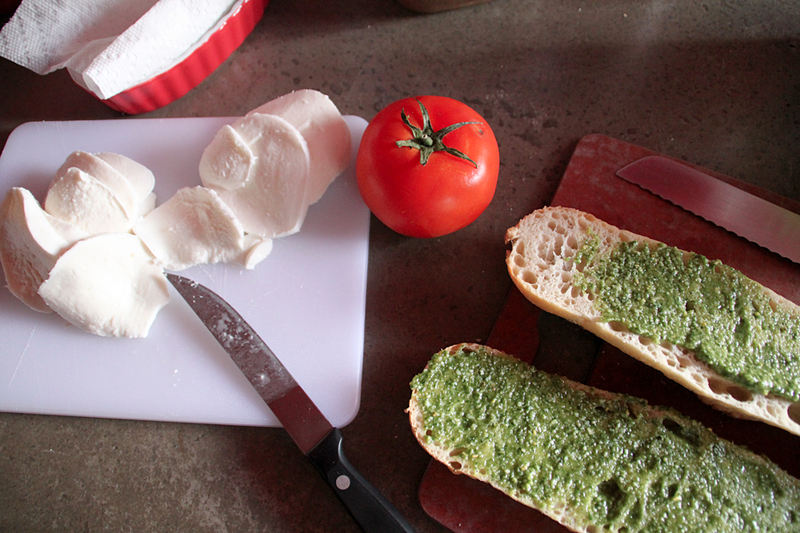 And while I loved the fresh pastas, rustic seafood dishes and unbelievable gelatos, my favorite italian delicacy was a simple sandwich from a local deli called Salumeria Verdi. Originally, this sandwich was made with foccacia but I couldn’t resist the still warm La Brea Bakery baguettes when I was at the grocery store and it was just as delicious. 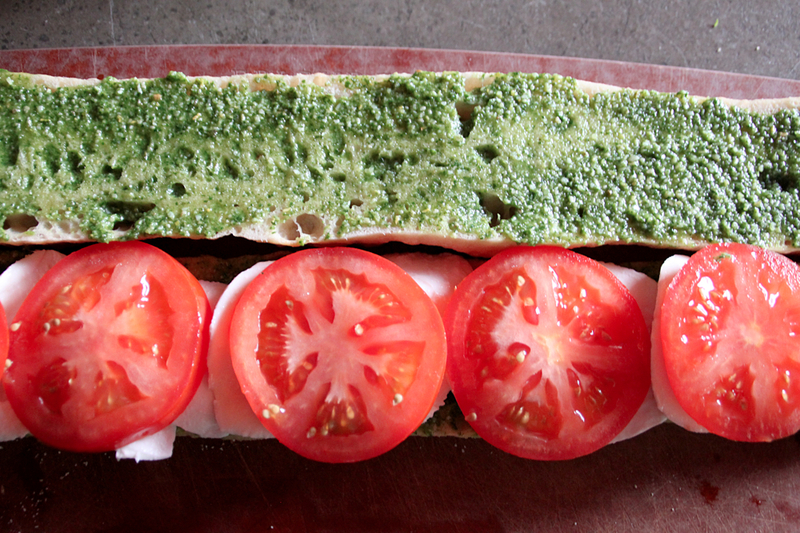 Topped with freshly made pesto (I like this recipe), fresh mozzarella and tomatoes, this sandwich was so good that I made Salumeria Verdi a stop on our honeymoon so that my husband could experience my favorite sandwich in the world as well. And if you’re ever in Florence, I highly recommend you stop by Salumueria Verdi for a freshly made sandwich and a glass of chianti. xoxo! 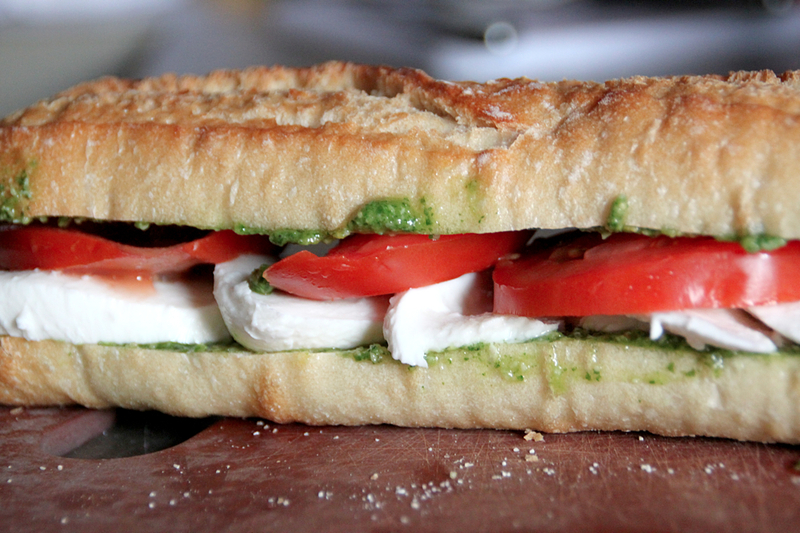 Sandwiches really are the perfect food. That is so simple and delicious, I’m drooling and it’s only 6:51am. I couldn’t agree more, I love sandwiches! can’t go wrong with this combo! looks delicious!